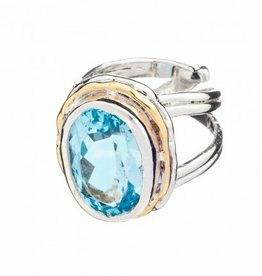 The Magnolia Ring in silver with gold plating detail and a stunning large, faceted Blue Topaz. This ring is adjustable to fit all sizes. 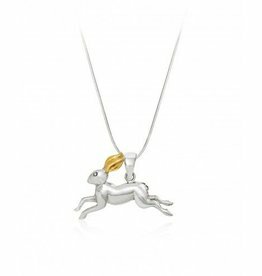 The Irish Hare Pendant with golden ears. Handcrafted in sterling silver and gold plate. The pendant comes with a 1mm sterling silver snake chain. Dimensions 2cm x 0.08cm. Weight 2.6 grams. 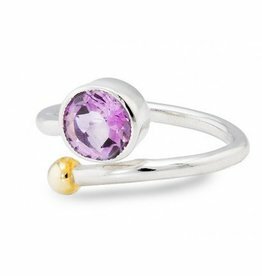 The Honeysuckle Ring made from sterling silver with a gold plate ball next to a sparkling, faceted Amethyst.